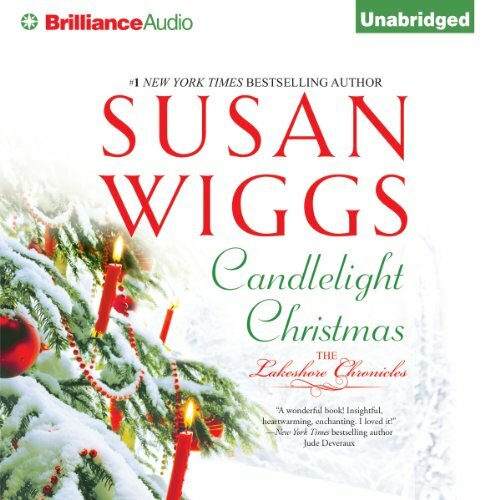 #1 New York Times best-selling author Susan Wiggs invites you to an unforgettable Christmas in the Catskills. A single father who yearns to be a family man, Logan O’Donnell, is determined to create the perfect Christmas for his son, Charlie. The entire O’Donnell clan arrives to spend the holidays in Avalon, a postcard-pretty town on the shores of Willow Lake, a place for the family to reconnect and rediscover the special gifts of the season. One of the guests is a newcomer to Willow Lake - Darcy Fitzgerald. Sharp-witted, independent, and intent on guarding her heart, she’s the last person Logan can see himself falling for. And Darcy is convinced that a relationship is the last thing she needs this Christmas. Yet between the snowy silence of the winter woods, and toasty moments by a crackling fire, their two lonely hearts collide. The magic of the season brings them each a gift neither ever expected - a love to last a lifetime. ©2013 Susan Wiggs (P)2013 Brilliance Audio, Inc. I didn't pay attention to the first half, and couldn't take the second. Terrible narration, boring story. After 3 attempts to listen I am finally going to return this book. Great listen if you can't fall asleep. What didn’t you like about Joyce Bean’s performance? She didn't have good material to work with. This doesn't happen often with this author so I will buy others.